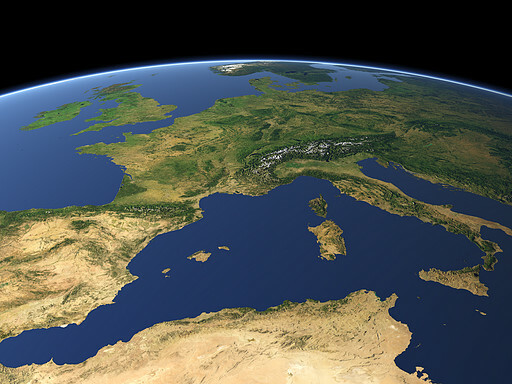 Western Europe seen from south with the Iberian Peninsula on the left and Italy on the right. 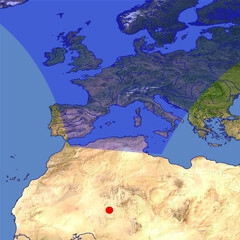 The British Isles and Scandinavia can be seen in the far background and the northern part of Africa at the lower edge. those pictures are all very cool!! how can you do that? you are very good man!